THE legendary Jaguar Skills’ creative fusions have taken him around the globe and scored him a coveted position at BBC Radio 1 and 1Xtra and it’s here that he met Manchester’s Virus Syndicate. Virus Syndicate have transcended their grime roots since emerging in 2005 on Planet Mu. Infiltrating all aspects of hip-hop and electronic music with their bruising beats and mic-battering word play, their relationship with Jaguar Skills began with a series of bespoke freestyles for his BBC Radio 1 show. In 2012 the two acts started working on a series of original productions and what began as a single track soon became five. Each track referencing tens of influential releases, featuring sharp samples from cultural commentators of our times. The end result is this mixtape. Not only does it showcase Jaguar Skills and Virus Syndicate at their sharpest, it also paints a picture perfect scene of where both rap and electronic music are at right now. 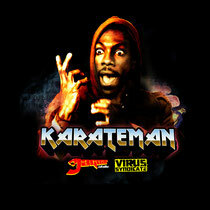 D&B, garage, classic hip-hop, trap and beyond: ‘Karateman’ is rampant riffs, hooks and elements from all corners of dance. Available for free in both mixtape and single track forms, each chapter of ‘Karateman’ pays homage to some of our generation’s biggest legends. 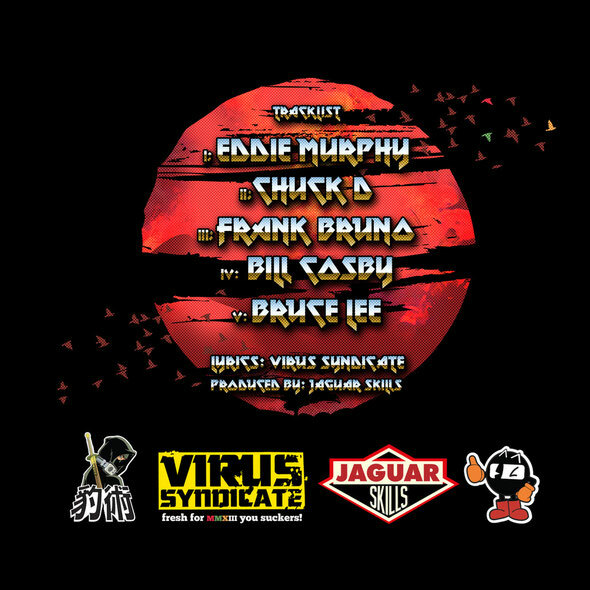 From big screen to the big ring, Eddie Murphy, Chuck D, Frank Bruno, Bill Cosby and Bruce Lee are all name-checked with the same respect and repertoire as the samples in the tracks themselves.